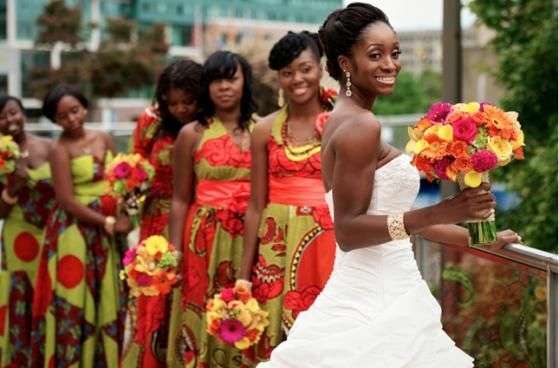 Today we are talking African traditional bridesmaids dresses. We love anything traditional! If your event or wedding features cultural elements then we want to hear from you. 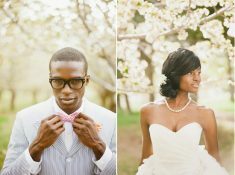 Weddings that represent certain cultural elements and lot of diversity in their wedding party always have us smiling. .inding the perfect African Traditional dress can be difficult! Why are these dresses beautiful? Because they are vibrant, colorful and have lots of amazing details to them! 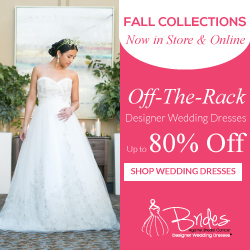 We believe the wedding parties below nailed them perfectly! Before we get started on the tips you can use to pay for a wedding, we wanted you to take the time to like our Facebook Page here! We also use affiliate links in our blog posts which means we can make a commission if you use any of our affiliate links. 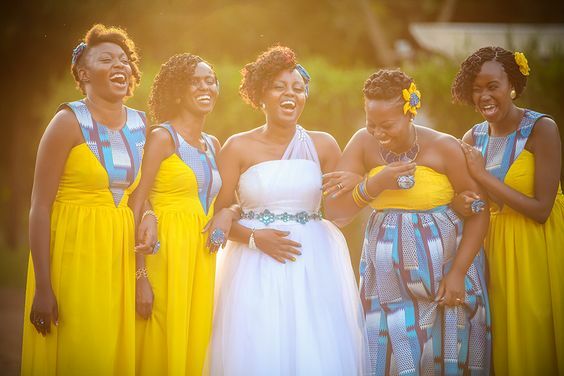 I really love the yellow with these African traditional bridesmaids dresses. And the bouquets compliment the dress very nicely. What a huge bridal party? I am loving the headpieces. 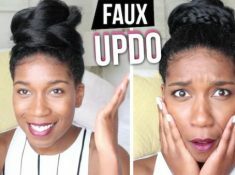 They look amazing and complete the look perfectly. 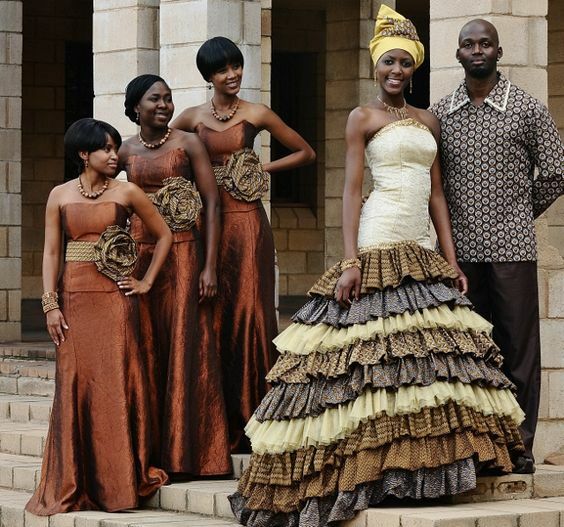 So in love with the little flower belts on each of these African traditional bridesmaids dresses. And the bride looks stunning for sure. 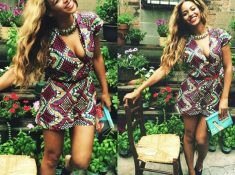 These African dresses are simply gorgeous. The colours are to die for and so are the wedding bouquet colours. Who else agrees? 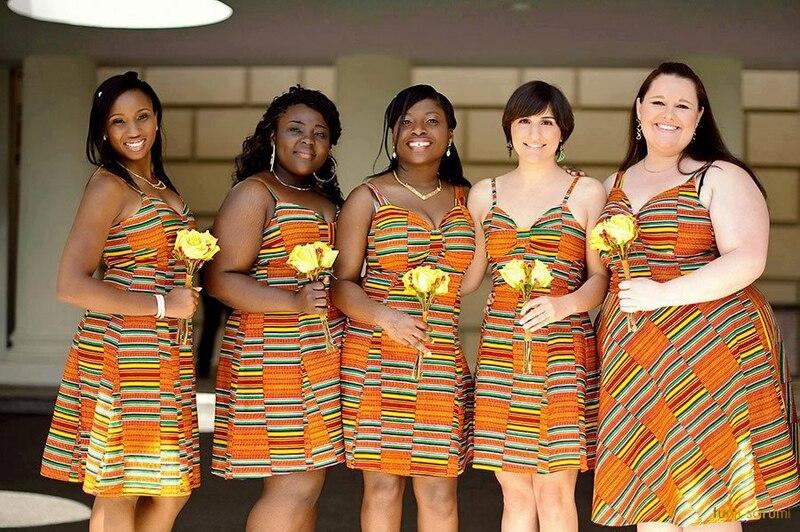 I seem to love the yellow looks on these African dresses. 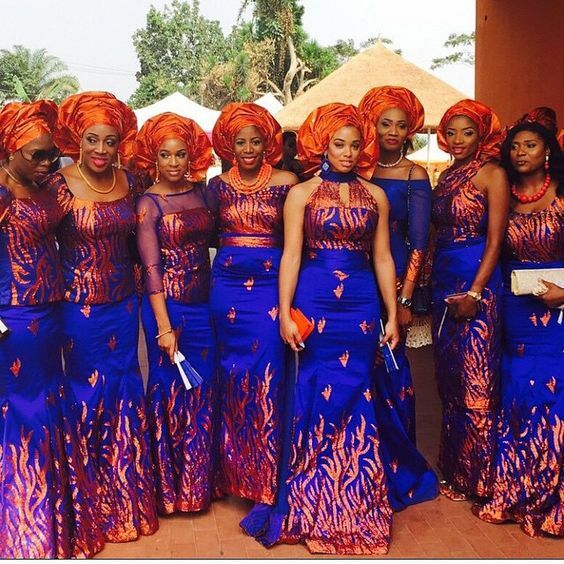 These bridesmaids carry the look very well and they all look stunning.